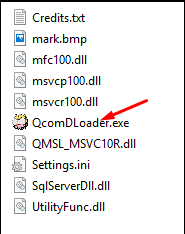 Lenovo Downloader Tool ဟာ Qualcomm သံုးထားတဲ့ Lenovo Smartphone ေတြသာမက အျခား Qualcomm Smartphone ေတာ္ေတာ္မ်ားမ်ားေတြကို Firmware Flash ရာမွာ ေတာ္ေတာ္အဆင္ေျပတဲ့ Tool တစ္ခုျဖစ္ပါတယ္.. Lenovo Downloader Tool ကိုအသံုးျပဳၿပီး Qualcomm Smartphone နဲ႔ Tablets ေတြကို Flash တဲ့နည္းလမ္းကို တင္ေပးလိုက္ပါတယ္..
သတိ: Lenovo Downloader Tool နဲ႔ Firmware Flash ၿပီးရင္ Data အကုန္ပ်က္ပါမယ္.. 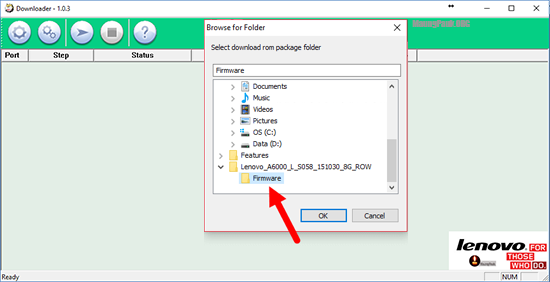 Step 2: Lenovo Downloader Tool ကို Download လုပ္.. ျဖည္ခ်ၿပီး AcomDLoader.exe ကို Run ပါ. 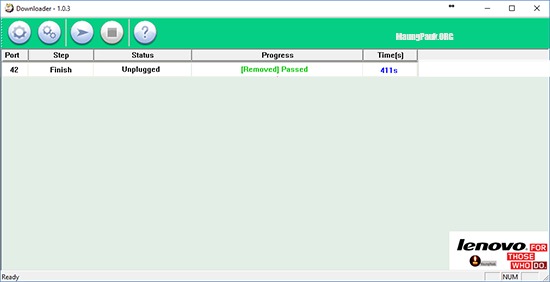 Lenovo Downloader Tool ကို Download လုပ်.. ဖြည်ချပြီး AcomDLoader.exe ကို Run ပါ. Step 3: Load Button ကိုတစ္ခ်က္ႏွိပ္ၿပီး Firmware Folder (Firmware ကို Download လုပ္ၿပီးျဖည္ခ်ၿပီးသား Folder) ကိုေရြးၿပီး OK ကိုႏွိပ္ပါ..
Load Button ကိုတစ်ချက်နှိပ်ပြီး Firmware Folder (Firmware ကို Download လုပ်ပြီးဖြည်ချပြီးသား Folder) ကိုရွေးပြီး OK ကိုနှိပ်ပါ.. 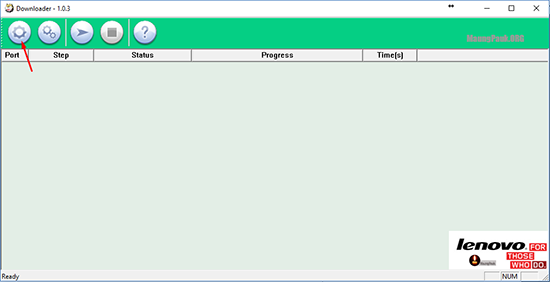 Step 4: Start Button ကိုႏွိပ္ပါ.. Step 5: ဖုန္းကို ပါဝါပိတ္ၿပီး Volume UP နဲ႔ Volume Down Button ကိုတြဲဖိထားရင္း ကြန္ပ်ဴတာနဲ႔ခ်ိတ္ပါ..
ဖုန်းကို ပါဝါပိတ်ပြီး Volume UP နဲ့ Volume Down Button ကိုတွဲဖိထားရင်း ကွန်ပျူတာနဲ့ချိတ်ပါ.